The white form is preset to search for SUV and crossover vehicles in the 'Ljubljana - Airport' rental office. 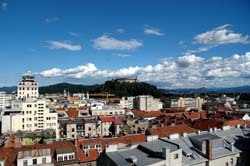 Address: Ljubljana Apt, Brnik, Ljubljana, Ljubljana, Slovenia. 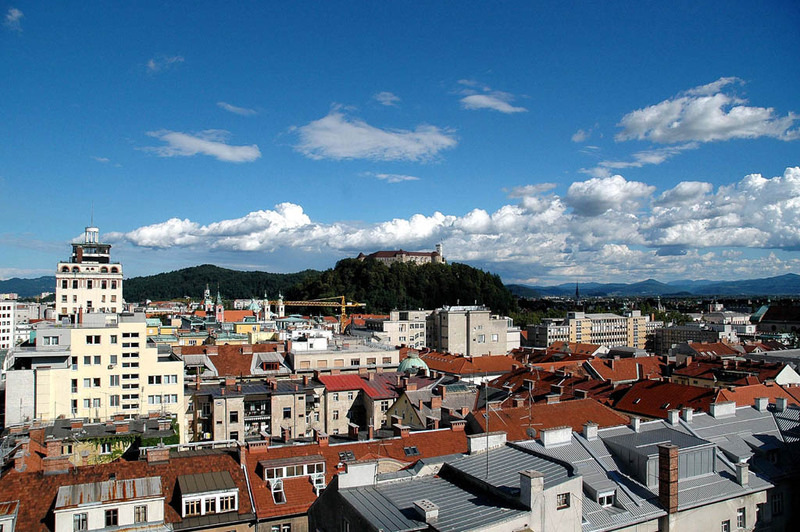 In Ljubljana, we offer vehicles at 3 different rental locations (see the links below). Normally, the best SUV rental offers in Slovenia are provided by offices located in airports and train stations. We recommend the following principle for selection of an off-road model for trips in Slovenia: if your planned routes are mainly within a city borders – a small crossover, while if the routes go through countryside or mountain regions – a large and powerful off-road 4x4 car. The most popular SUV models offered at rental locations in Ljubljana are: BMW X3, Toyota Rav4, Kia Sportage, Suzuki Jimny, Toyota Landcruiser, Hyundai Tuscon and others. While selecting your preferred model of an off-road vehicle, please examine the rental conditions. In particular, those requirements that concern credit cards – when it comes to renting an expensive car, sometimes offices in Slovenia ask information about two credit cards. If you plan to use an off-road vehicle in the mountains, it is recommended to order snow chains. This will save you from unexpected incidents. Other important equipment in Slovenia are mandatory child seats for travellers with children. OrangeSmile.com wishes you a safe trip and green lights on the roads of Ljubljana! Drivers are also obliged to stop at unregulated pedestrian crossings. If a driver doesn’t give way to pedestrians, he is likely to be fined 300 euro. All sites of road works in Slovenia are marked with proper signs. However, in addition to standard, there can also be rather unusual road signs. For example, bright yellow signs can alert drivers about how much is left to drive to the end of the constriction. Quite often, these signs have very cute drawings in the form of emoticons, designed to cheer up depressed drivers who pass a difficult part of the road. In small towns and villages, there are road signs that warn motorists of the appearance of children on the road. Drivers should treat these road signs with great attention, especially in the countryside, where children often play close to roads. The main personality traits of local people are considered to be modesty, earnest, independence and diligence. At the first sight the local people may appear to city visitors avoidant and unsociable. But in fact they are eager companions having fine sense of humor. Tourists should definitely take into account the peculiarities of the personality and psychology of local people and behave according to the customary norms as this will let them avoid misunderstandings and misconception. For example, it is not customary to speak and laugh in a high key in public places. One should also avoid indecorous abusive questions and remarks considering the family of the companion and his financial status within the talk. Local people consider the career to be one of the most important aspects of life, that is why one should not wonder the curiosity of local folks for the businesses and occupations of the foreign visitors. The independence and self-determination along with self sufficiency also find their reflections in every sphere of life. Setting off to the restaurant with new acquaintances one should keep in mind that the restaurant bill is paid individually, even women are paying for themselves. Generally the local folks of Ljubljana are strictly dividing their life into public and private. The communication with friends and colleagues does not commonly touch the private aspects of life.